The Abdul Kalam Technical University (AKTU) has postponed the mega job fair, to be held in Noida, to April 11- 12 after multiple companies made a request to the university administration citing financial year-end complexities. Earlier, the university administration was to organise the job fair on March 24-25 on its Noida campus in Sector 62. “Several companies approached us saying that they start their hiring process only after the end of the financial year on March 31. The companies’ representatives requested us to postpone the job fair to April 11-12 so that, by then, they can complete the formalities of the financial year-end. We also want the best companies for our students and so we decided to postpone the dates,” Sanjeev Sharma, advisor, AKTU, said. The university has also decided to change the dates for the registration. “The online registration for the mega job fair will begin from March 29 and continue till April 5. Students can access the university’s website for registration and other details. Students can also download the hall ticket for the fair on April 6 and 7 from the website,” Sharma said. 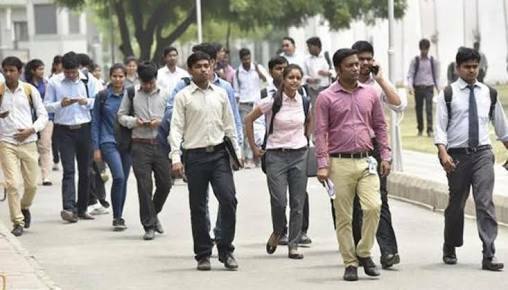 For the past one year, the university has been organising mega job fairs in several cities of Uttar Pradesh for its engineering graduates and final-year students. The university decided to organise mega job fairs after receiving numerous complaints of depleting placement percentage in its affiliated colleges. In the mega job fair, only final-year students (2017-18) and students who graduated in the academic year 2016-17 from affiliated colleges will be allowed to participate. “The registration for the online fair is free and if the students are being asked for money from any agent or tout, they must complain at the helpline number given on the university’s website,” Sharma said.